You can tell a lot about a show by the queue outside the venue. Tonight, it is an endless horde of teenage girls and their parents. Not my usual rock show, granted. However, I was their age when Rita Ora dropped her single ‘RIP’ back in 2012, so I can understand their excitement. 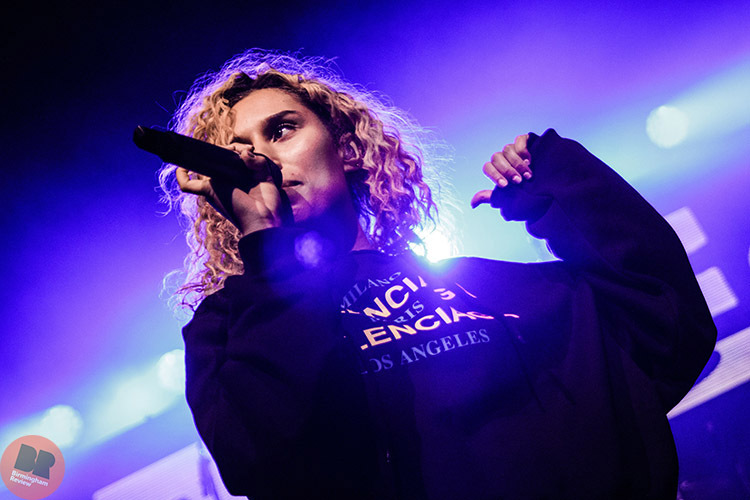 And it’s rare for a pop star of Ora’s size to play such a small venue (if, of course, you can count the 3000 capacity O2 Academy main room as ‘small’). 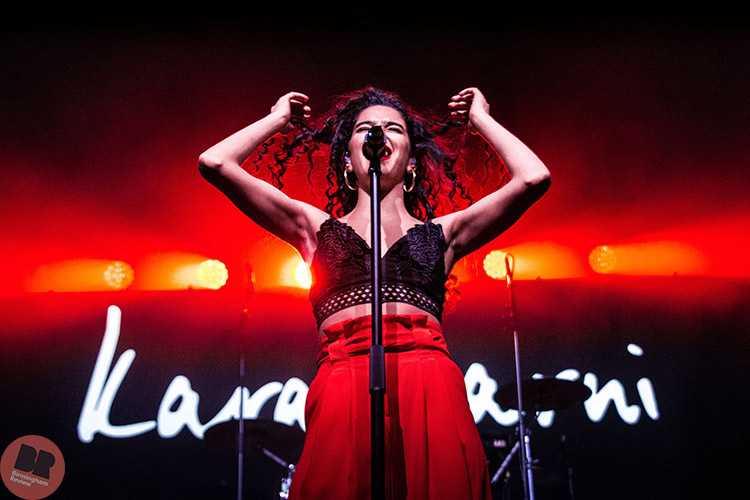 First on stage is Kara Marni, who delivers a no-frills five track performance including a mashup of ‘Wild Thoughts’ by Rihanna and ‘Shape of You’ by Ed Sheeran. 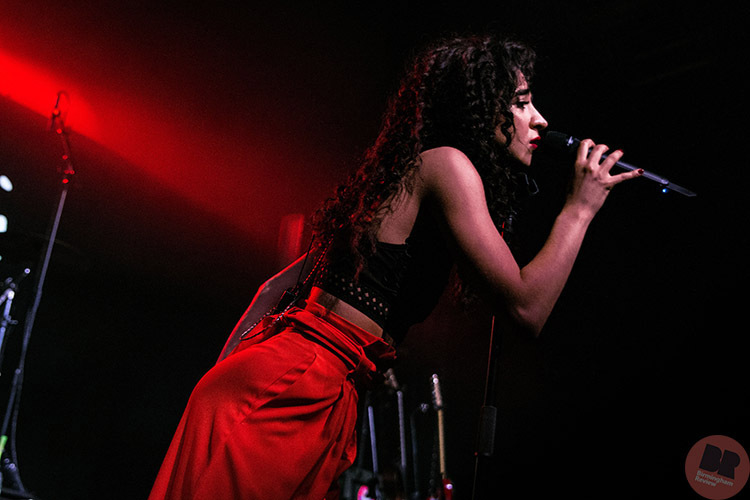 Marni’s standout song tonight, however, is ‘Love Just Ain’t Enough’ taken from her debut EP of the same name; her vocals dance effortlessly over subtle R & B beats, amalgamating into a set that is short but nevertheless incredibly impressive. 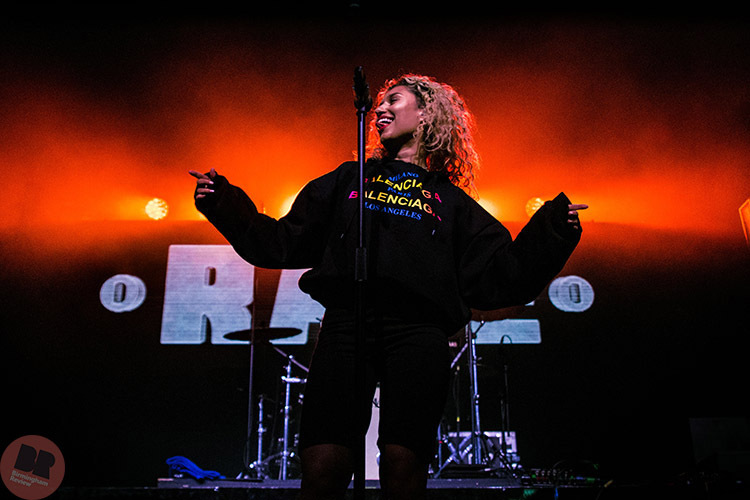 Next up we have Raye, who bounds onto the stage clad in a black hoodie and shorts. 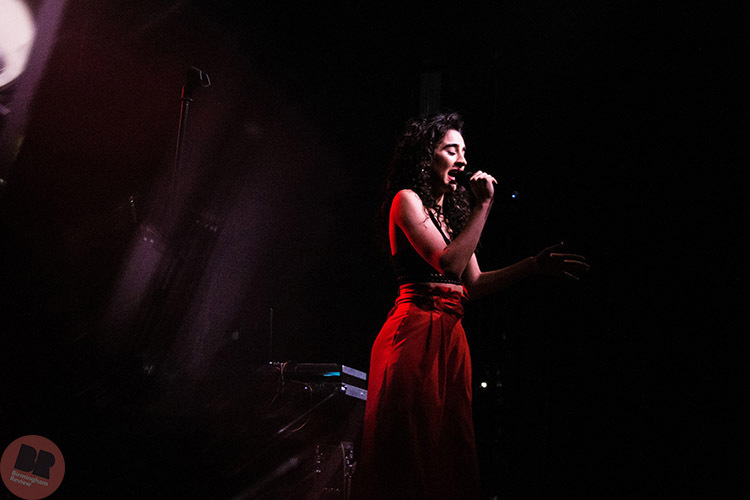 Her energy is seemingly endless as she bounces back and forth to tracks such as ‘Cigarette’ and ‘Decline’, which both send the crowd into what can only be described as group ecstasy. 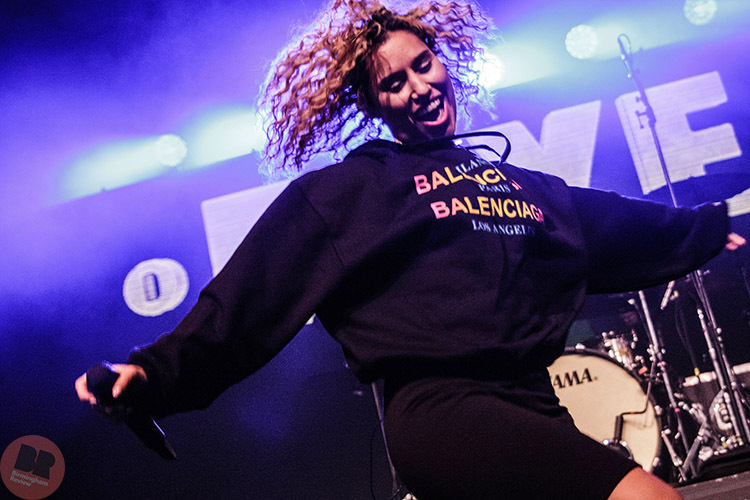 Personally, even whilst watching most of it through a camera lens, I enjoy Raye‘s set much more than I anticipated – and even find myself dancing along to her track, ‘Confidence’. Once my professional duties are done, of course. But a great performer and one to watch/watch out for if you get the chance. But now it’s the main event, the artist this sold out O2 Academy crowd have all come out to see. 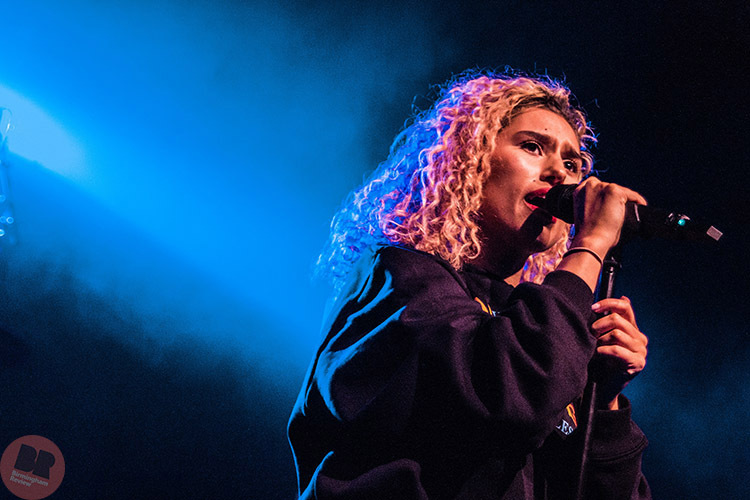 Admittedly, I am slightly dubious about the show that Rita Ora will deliver tonight – her absence from the UK touring circuit for several years, plus the ‘smaller’ venue choice, were all seemingly red flags to me. However, as the set kicks off with a flourish I couldn’t have been more mistaken. 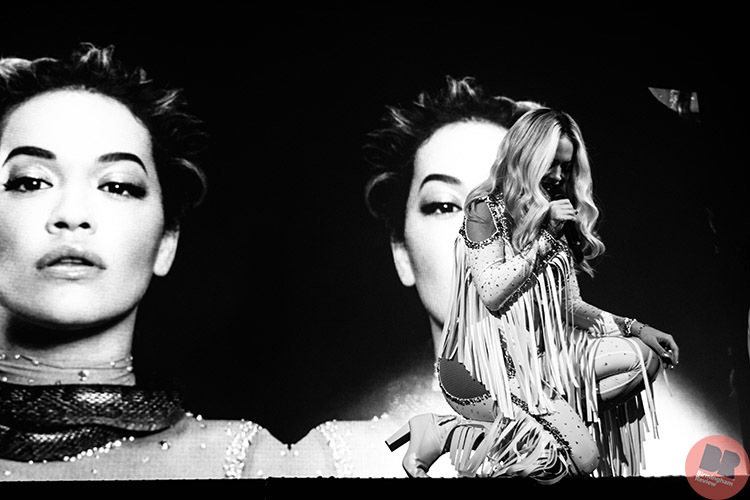 Opening to one of her latest tracks, ‘Your Song’, Rita Ora weaves her way across the stage along with four backing dancers – all in front of an LED screen showing lyrics to the crowd. Production wise, Ora spares nothing for her fans tonight, from a dancer being constrained in a Perspex box during ‘For You’ to a slightly amusing routine involving numerous industrial fans and chiffon scarves for ‘Body On Me’. 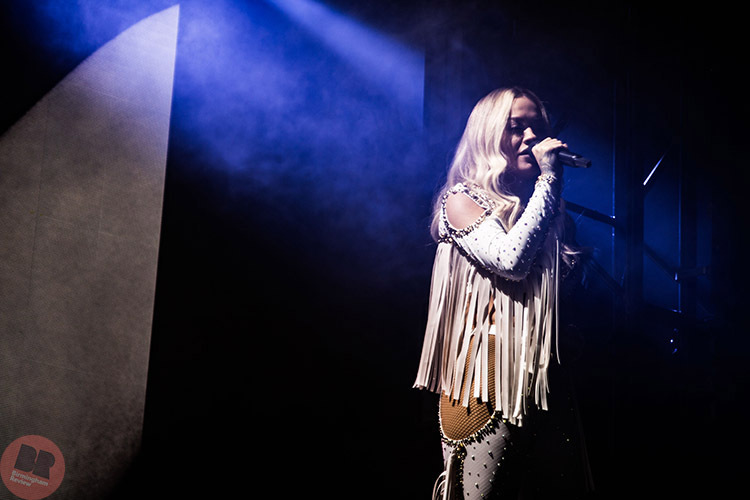 The show pushes exactly what is possible for a performer (and production team) to achieve on the O2 Academy’s main stage. 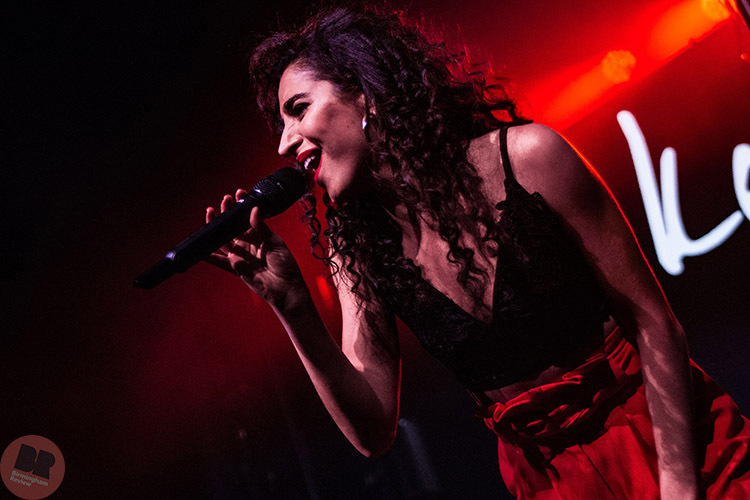 It isn’t all theatrics, however; from dedicating her track ‘Lonely Together’ to the late Avicii, to debuting a new slower number titled ‘Soul Survivor’, Ora’s high octane performance is interspersed with slower material including a more laid back, heavier version of her hit single ‘RIP’. But the highlight of the night is when she pulls a group from the audience up on stage to celebrate one of their birthdays. Seeing a star being this genuine and dedicated to their fans is a breath of fresh air. 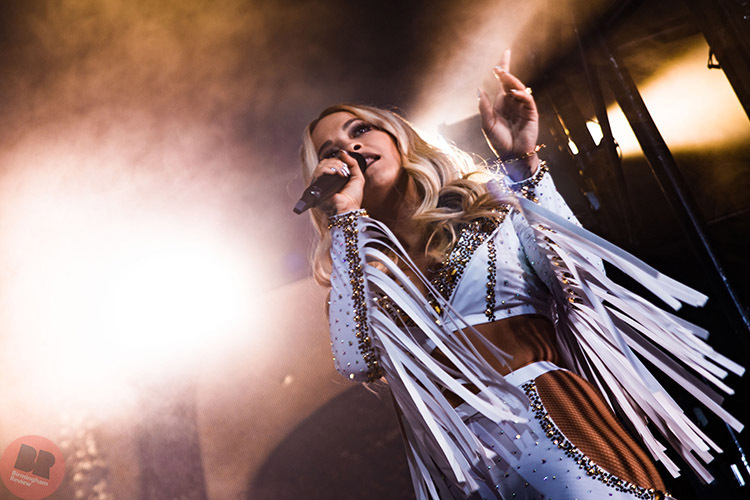 Finishing her set with ‘Anywhere’, another track from her eagerly awaited sophomore album, it’s clear that Rita Ora’s time out of the spotlight has been well spent. And with a whole host of new material ready for her fans to hear, I’ll be surprised if she graces the stage of a venue this ‘small’ again. Next stop, surely an arena tour.